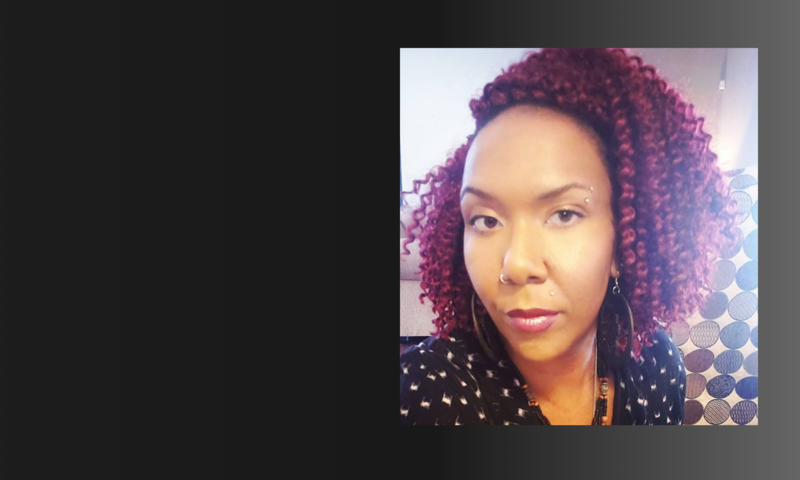 Jenn M. Jackson is a doctoral candidate in the Department of Political Science at the University of Chicago where she has also received a graduate certificate in Gender and Sexuality Studies. She will be joining the Syracuse University Department of Political Science as an Assistant Professor in August 2019. Jenn’s research is in Black Politics with a focus on group threat, gender and sexuality, public opinion, political psychology, and behavior. In her dissertation, “Race, Risks, and Responses: Mapping Black Americans’ Reactions to Group Threat,” Jackson investigates the role of group threat in influencing Black Americans’ political behavior. Methodologically, she utilizes quantitative analyses of survey data and experiments as well as qualitative analysis of 50 in-depth interviews with young Black Americans ages 18 to 35 in the Chicago area to investigate both intergroup and intragroup differences in responses to and ideas about group threat. She finds that Black women are most likely to express concerns about state-based and intragroup threat. Conversely, Black men vary drastically in their responses to group threat depending on their sexual orientation, gender expression, and vulnerability to stereotypes. As a recipient of many prestigious honors and awards, Jenn is a 2018-2019 Residential Fellow at the Center for the Study of Race, Politics, and Culture, a 2018-2019 Teaching Fellow at the Chicago Center for Teaching, a 2017-2018 Urban Doctoral Fellow at the University of Chicago, a 2017 Women of Color Leadership Project inductee with the National Women’s Studies Association, and was a 2016-2017 APSA Minority Fellow. Jenn was also awarded honorary mention by the Ford Foundation Doctoral Dissertation Award Competition in 2018. She was also awarded a research fellowship from the CSRPC for her Master’s Thesis titled, “Black, Violent, Newsworthy? Crime, News Frames and Black Americans in the United States.” She is the 2014-2015 and 2015-2016 recipient of the Edith Heller Juda Scholarship, an award given to highly motivated students at the University of Chicago who have demonstrated a personal commitment to social and economic justice for all people and who have indicated their intention to dedicate themselves and their professional careers to the pursuit of these fundamental objectives. For the 2016-2017 and 2017-2018 academic years, Jenn serves as a co-facilitator for the American Politics Workshop in the Department of Political Science at the University of Chicago. Jenn has spoken at many symposiums, events, and conferences about Black Politics and Feminist scholarship and race politics in the United States including the 2016-2018 Midwest Political Science Association(MPSA) Annual Conferences, the 2017 and 2018 annual meetings of the American Political Science Association (APSA), the 2018 annual meeting of the National Conference of Black Political Scientists (NCOBPS), 2016 and 2017 National Women’s Studies Association Conferences, the Center for the Study of Race Politics and Culture (CSRPC) Teach-in on Race in the Academy, and the Center for the Study of Gender and Sexuality (CSGS) 20th Anniversary Symposium, both housed at the University of Chicago. Jenn is also regularly invited out to community-based events to speak about social movements, youth politics, and Black political behavior today. She is a highly sought after writer whose written work has appeared at Washington Post, Teen Vogue, The Root, EBONY, Marie Claire, Daily Dot, The Independent, and many others. She has also appeared on Al Jazeera, WGN and Chicago Tonight to discuss issues of race and class inequity, police reform and violence against young Black people, and tactics for action against the continued disinvestment in communities of color. Jenn is a proud member of Delta Sigma Theta Sorority, Inc. She co-runs the award-winning race and culture platform Water Cooler Convos. 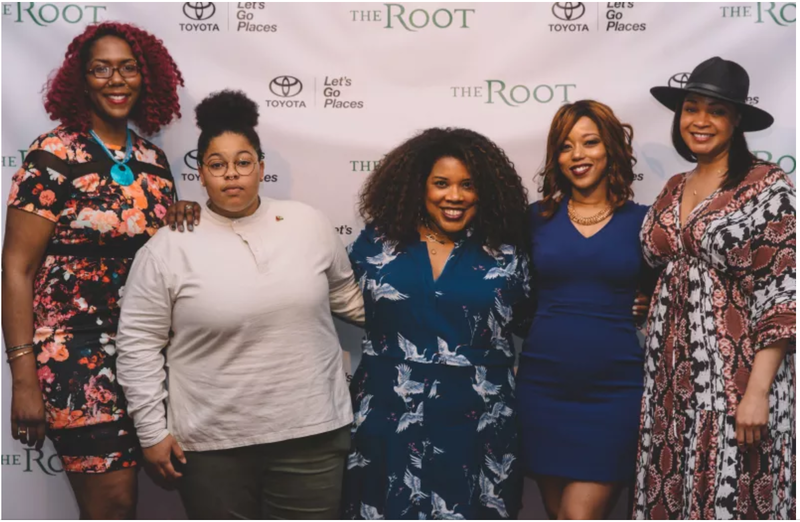 Jenn is the co-host of the That Black Couple podcast, an honest look at Blackness, culture, and adult life. She is also the founder and CEO of The Worth Campaign, a nonprofit committed to empowering young Black women and girls. Here she writes about social issues and pop culture. Jenn earned a BS in Industrial Engineering from the University of Southern California with a minor in Sociology. She went on to earn an MA with honors in Political Science from California State University, Fullerton where she later taught Political Science Research Methods and Black Politics. Through her research and teaching in the academy, her advocacy as an instructor of Chicago-area high school and college-aged students, and her journalistic work through the written word, Jenn seeks to disrupt the status quo which demands silence from those who are most marginalized in society. In the traditions of women like Anna Julia Cooper, Ida B. Wells, and Angela Davis, she is a firm believer that it is the job of Black women academics to make space and hold that space for the fullness of Black experiences especially in the Ivory Tower, social justice, and publishing realms. Jenn is a proud native of Oakland, CA and new transplant to freezing temperatures of the Midwest. For interview requests, speaking engagements, or other questions contact Jenn, here.